The Defense Department has released the identity of the soldier killed early Monday morning in an overseas helicopter crash. Chief Warrant Officer 3 Taylor Galvin died Monday in Baghdad, Iraq, as a result of injuries sustained when his helicopter crashed in Sinjar, in Iraq’s Ninevah Province, according to a Pentagon statement Tuesday morning. Galvin’s helicopter crashed late Sunday night while conducting a partnered counterterrorism mission in support of the Operation Inherent Resolve coalition to defeat the Islamic State, according to a U.S. Central Command statement. The 34-year-old from Spokane, Washington, was assigned to Delta Company, 1st Battalion, 160th Special Operations Aviation Regiment — known as the Night Stalkers — out of Fort Campbell, Kentucky. The incident is under investigation. However, it was last reported that enemy fire was not suspected to have caused the helicopter crash. Galvin first entered the Army as a CH-47 aircraft mechanic in 2003. In 2007, he was accepted to Warrant Officer Candidate School. He graduated from flight school in 2008 at Fort Rucker, Alabama, according to information provided by U.S. Army Special Operations Command. Galvin was then assigned to Charlie Company, 2-1 General Support Aviation Battalion at Fort Riley, Kansas, where he served as a UH-60 instructor pilot, deploying twice to Iraq and once to Afghanistan. 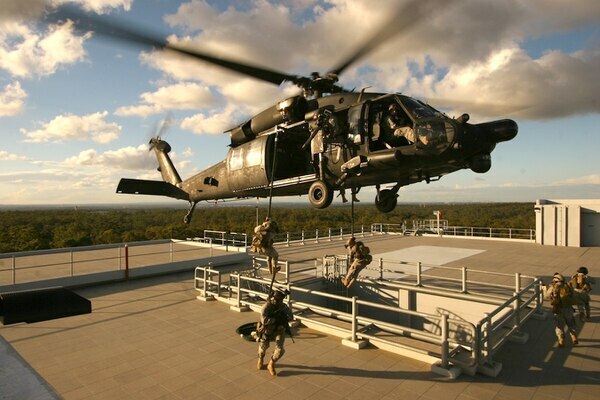 After a successful assessment in 2015, he was assigned to the elite 160th SOAR, where Galvin flew as an MH-60M Black Hawk pilot. Galvin was a combat veteran with nine deployments — two in support of Operation Iraqi Freedom, three in support of Operation Enduring Freedom, and four in support of Operation Inherent Resolve. The crash that took Galvin’s life is the second this year of an aircraft supporting the Inherent Resolve mission. In March, all personnel aboard a U.S. Air Force HH-60 Pave Hawk helicopter were killed in a crash. That incident occurred after the aircraft hit power lines in western Iraq’s Anbar province. “I’d like to express our condolences on behalf of the Department of Defense on the death of one U.S. service member and several others injured when their aircraft crashed yesterday in Iraq,” Pentagon spokesman Army Col. Rob Manning told reporters Monday. Galvin’s awards and decorations include one Air Medal with C device and three Oak Leaf Clusters, the Army Commendation Medal with two Oak Leaf Clusters, the Joint Service Air Medal with one Oak Leaf Cluster, Army Achievement Medal with two Oak Leaf Clusters, the Meritorious Unit Award, three Army Good Conduct Medals, the National Defense Service Medal, the Afghanistan Campaign Medal, the Iraq Campaign Medal, the Global War On Terrorism Expeditionary Medal, the Global War On Terrorism Service Medal, the NATO Medal, the Noncommissioned Officer Professional Development Ribbon, the Army Service Ribbon, three Overseas Service Ribbon, the Combat Action Badge and the Senior Army Aviator Badge. Kyle Rempfer is a staff reporter for Military Times. He trained and served as an Air Force special tactics operator from 2010 to 2015. Kyle's reporting focuses on the unified combatant commands.